Works with sodium to regulate the body's water balance. Aids in the mineral balance of the blood. 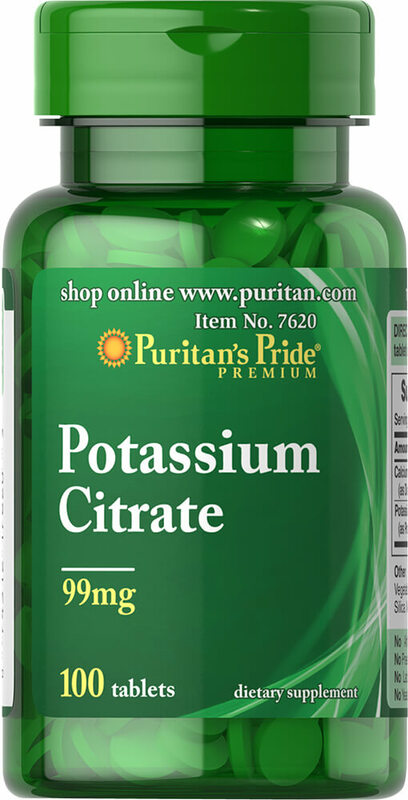 Each tablet contains (258 mg) potassium citrate equivalent to (99 mg) elemental potassium.